If you were a beaver, you couldn’t hope for a happier home than Seattle. The Emerald City is graced with gentle creeks, ample timber, a moderate climate, and, the occasional coyote notwithstanding, few carnivores. Beavers throughout Washington State are relatively protected from the most dangerous predator, us humans, by a 2001 ballot initiative that banned most lethal traps. 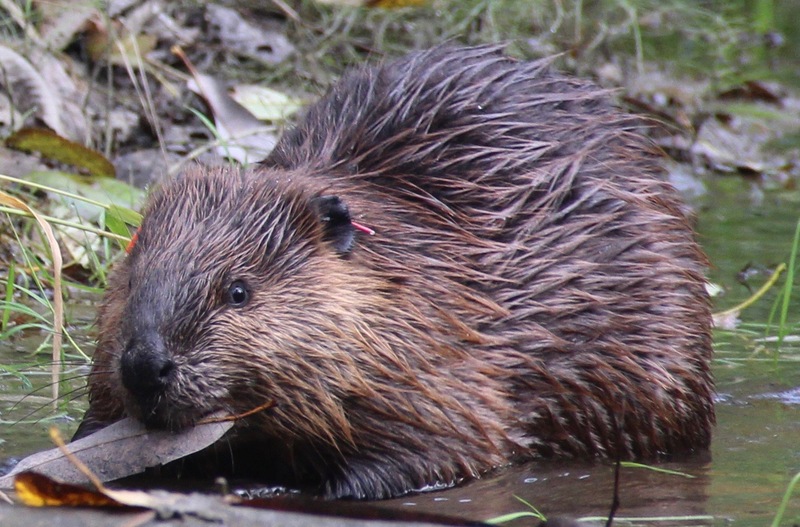 A recent paper published in the journal WIREs Water found that around 86 percent of the city’s 60 kilometers of stream show signs of beaver activity—a higher rate than you’d see in nearly any national park. 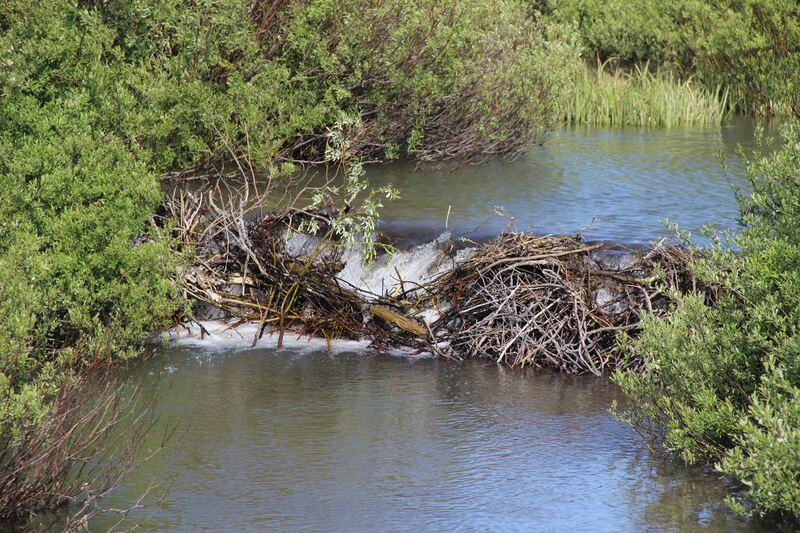 Unlike other Seattleites, beavers don’t even have to worry about Amazon-induced rent hikes. Yet Castor canadensis is worth the trouble, and then some. In my book, Eager: The Surprising, Secret Lives of Beavers and Why They Matter, I describe the animals as “ecological and hydrological Swiss Army knives, capable, in the right circumstances, of tackling just about any landscape-scale problem you might confront.” A full accounting of their virtues would take paragraphs—or chapters—but here are a few highlights. Beavers, by capturing surface water and elevating groundwater tables, keep our waterways hydrated in the face of climate change-fueled drought. Their wetlands dissipate floods and slow the onslaught of wildfires. They filter pollution. They store carbon. They reverse erosion. And, whereas our infrastructure is generally inimical to life, they terraform watery cradles for creatures from salmon to sawflies to salamanders. They heal the wounds we inflict. The fundamental challenge of living alongside beavers, then, is this: How do we reap their multitudinous benefits while alleviating the sporadic headaches? Our relationship with beavers is usually reactionary—when they have the audacity to inhabit and refurbish our meticulously groomed green spaces, we reach for the trap. The WIREs Water paper suggests there’s a better way. In a city as beavery as Seattle, urban designers ought to anticipate their colonization and plan parks, stormwater ponds, and restored wetlands accordingly. Instead of gnashing your teeth when they topple trees, plant enough vegetation to go around, or wrap cottonwoods and willows in fencing from the get-go. Rather than funneling streams through narrow culverts—beaver honeypots that invite damming—how about spanning that creek with a scenic footbridge? Routing a walking path through a floodplain is rarely advisable, unless you plan to issue snorkels to visitors. And make sure you’ve got those pond-leveling flow devices ready. Permitting beavers to colonize constructed urban ecosystems, the authors point out, can “introduce a greater degree of uncertainty in the evolution of the site.” Beavers, agents of aquatic anarchy, obey no human masters; they seem almost to delight in defying us. Yet even these willful rodents can be gently shepherded. When designers created a 12-acre wetland on the site of a decommissioned airfield in Seattle’s Magnuson Park, for instance, they built “a series of broad berm-style weirs to function like beaver dams.” Once beavers themselves inevitably arrived, the animals constructed ponds that bolstered riparian vegetation, bird diversity, and amphibian populations. 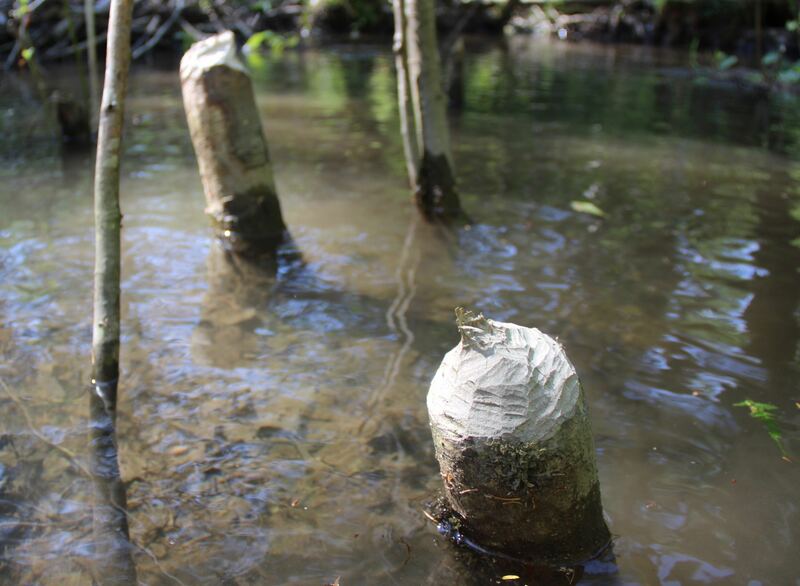 To the wisest city planners, then, beavers aren’t bugs—they’re features. My reporting for Eager took me to plenty of wild places: Yellowstone National Park, Montana’s Centennial Valley, the forested flanks of the eastern Cascades. Many of my favorite beaver stories, though, are set in urban spaces, where rebounding colonies collide with dense human settlements. I met beavers in a concrete-lined ditch behind a budget hotel in Napa; beavers in a wetland adjacent to a Walmart parking lot; beavers in downtown Martinez, California, that have become a beloved fixture of civic life. And no accounting of urban beavers would be complete without extolling the legendary beavers of the Bronx River, whose saga demonstrates that, for all the ecological value these extraordinary creatures provide, their most powerful service may be the way they enrich our lives. The following is adapted from “Let the Rodent Do the Work,” the tenth and final chapter of Eager: The Surprising, Secret Life of Beavers and Why They Matter. If you wanted to see beavers within New York City limits, the Astor Place subway stop was long your only option. Although Manhattan Island historically teemed with beavers—Times Square was once a rodent-impounded maple swamp—trapping, development, and pollution pushed them out in the early 1800s. In late 2006, though, a lodge of mud and willow appeared on the banks of the Bronx River. Biologists at the Wildlife Conservation Society named its inhabitant José, after José Serrano, the congressman who’d directed funds toward the river’s cleanup. The pioneering rodent became the first wild beaver to grace the Big Apple since before the inception of the New York Police Department. The person who spends more time on the Bronx River than just about anyone is Katie Lamboy, education coordinator for the Bronx River Alliance, who’s led so many boat tours down this beleaguered waterway that fishermen know her as “Canoe Lady.” One chill November evening, the Canoe Lady and I pushed off from a rickety dock in the New York Botanical Garden, with her in the bow and me in the stern, to search for José himself. We dipped our paddles into the torpid flow, punting slowly upstream. Beyond the river’s wall of trees were Laundromats and chicken joints, pawn shops and bodegas. On the water dusk fell still and quiet, shrouded by red maples and white oaks. Tangles of knotweed screened the banks, and toppled beech trees dipped golden-leaved strainers into the amber river. José’s whereabouts, Lamboy told me, and even whether he survived, were something of a mystery. 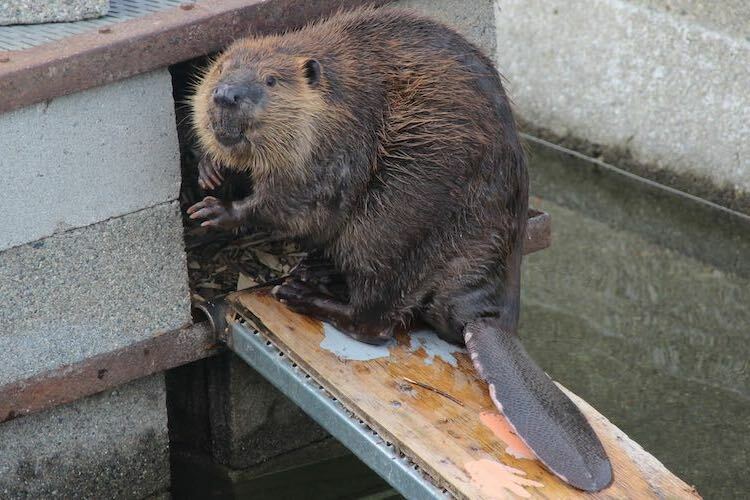 In 2010 another beaver had shown up, dutifully celebrated by the tabloids—“Lonely Bronx River beaver has a new companion,” cheered the Daily News. The Wildlife Conservation Society held a naming contest; voters dubbed the new animal Justin Beaver. (Perhaps the only immutable law in beaver restoration is this: If you let children choose names, Justin Beaver will always win.) José acquired a Twitter account, @josethebxbeaver, and gained a modest following. Over time, though, people lost track of his movements. “I’ve actually never seen the beavers,” Lamboy sighed. She knew that beavers remained in the Bronx River—a pastor had recently photographed them just upstream of city limits—but not, it seemed, in the Bronx itself. Spoiler: Katie Lamboy and I did not detect any beavers during our evening on New York City’s only freshwater river, though not for a lack of trying. We coasted along the mudslick banks scanning for gnawed stumps or tracks. Nothing. We moored alongside a massive drift of branches deposited on the upstream point of an island, debris jam-packed with PBR cans and candy wrappers and waterlogged textbooks and yellow MetroCards, and examined stick after stick for familiar incisor scars. Nothing. Absence of evidence may not be evidence of absence, but it seemed likely José had split. Since Howard Cosell declared during the 1977 World Series that the Bronx was burning, the borough, like its river, had been associated with urban decay, a synonym for crack and crime and blight. The decades-long cleanup of the Bronx River became, as José Serrano put it in an NPR interview, “a symbol of the bringing back of life in general to the Bronx”—a way for Bronxites to reclaim the narrative about their own neighborhoods and suffuse it with light. The arrival of José the Beaver made a cute tabloid story, sure, but it was also a new story, a way to convince the world—and residents themselves—that the city had changed for the better. “It said a lot about our resiliency as a borough, and the way we can bounce back, and the pride we have,” Lamboy told me as we glided back to the dock. “This beaver is all of us in some way.” Coming from anyone else, that might have sounded saccharine; coming from her, it rang wise and genuine and hopeful. Ben Goldfarb is an environmental journalist based in Spokane, Washington, whose work has been featured in Science, Mother Jones, Orion Magazine, High Country News, and many other publications. He is the author of Eager: The Surprising, Secret Life of Beavers and Why They Matter.